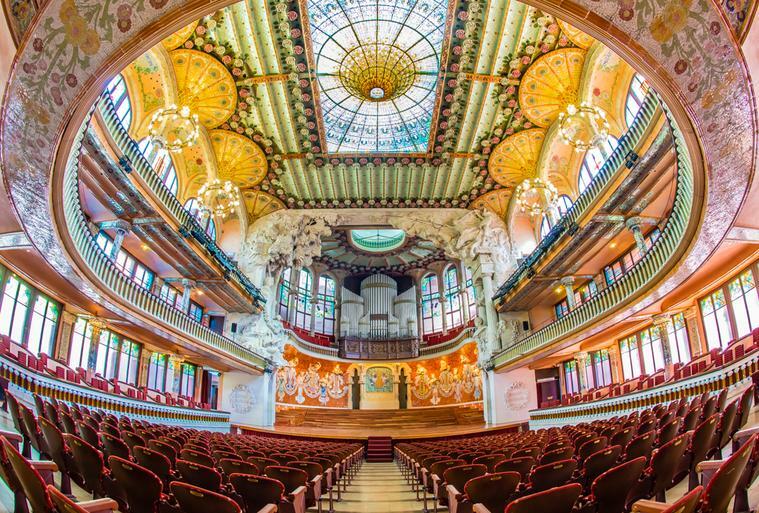 The Palau de la Música Catalana is one of the most representative monuments of the city and It is one of the most recommended tourist attractions of Barcelona. 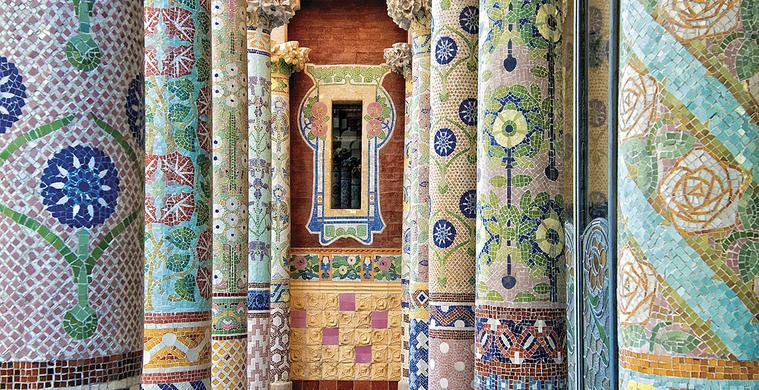 Built between 1905 and 1908 by the great architect Lluis Domènech i Montaner, the Palau de la Música Catalana is an architectural jewel of Catalonia and essential part of any visit to the city, as any of the most fascinating Gaudi buildings. 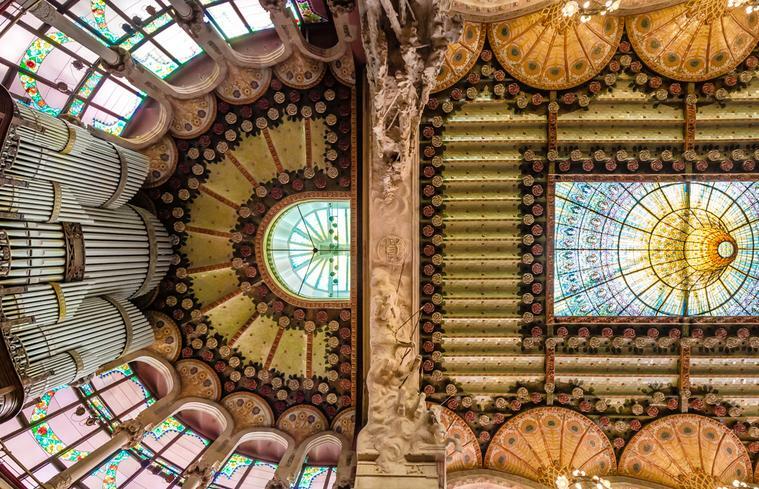 This historical building, declared a World Heritage Site by UNESCO in 1997, offers an experience so magical that visitors fall in love with it. 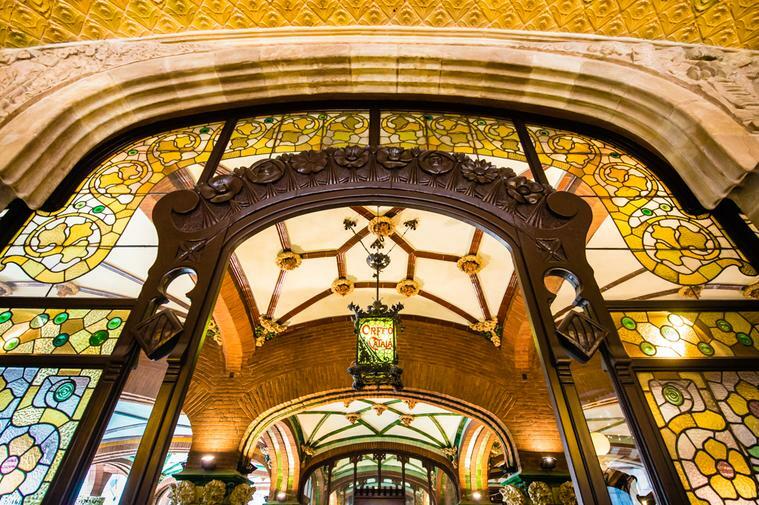 From the hand of experienced guides, the wonders of this architectural pearl discovered and visitors into a fantasy world full of details and references to the characteristic nature of modernist architecture. 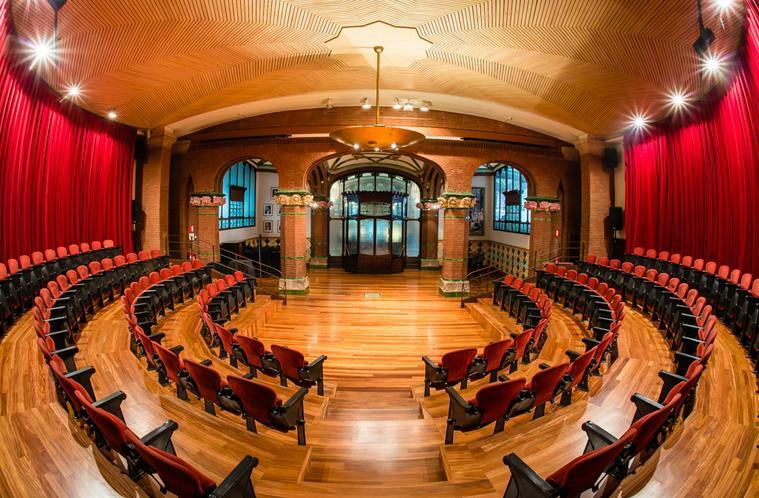 The tour starts in the Rehearsal Hall of the Orfeó Catala, where the foundation stone of the building was laid in 1905 and where even today, as it has for more than 100 years, the choir of the Orfeó Català rehearses regularly. 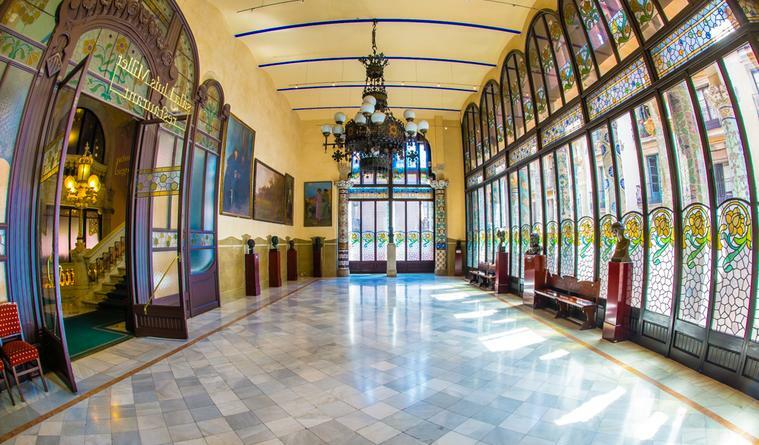 Sitting in this intimate space, visitors can learn the reason for its importance with an audiovisual tour. 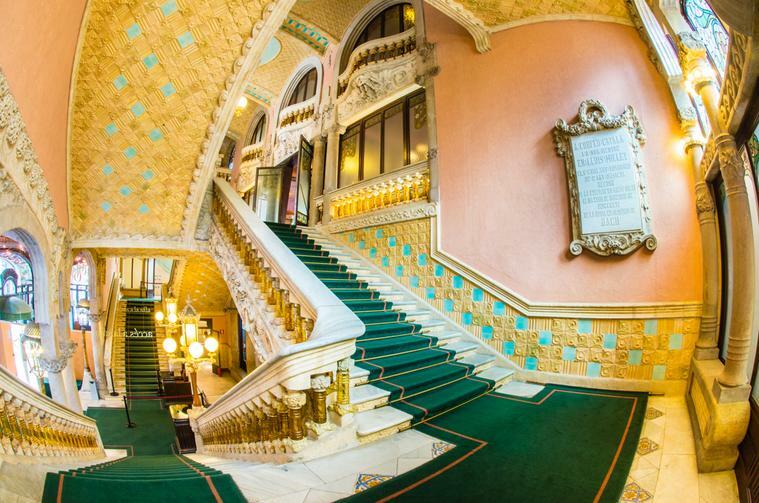 The tour continues along the grand staircase decorated with flowers, Catalan flags and a single rail: built in a clever combination of a range of materials including iron and glass to create a world of detail which never ceaces to amaze visitors and viewers. 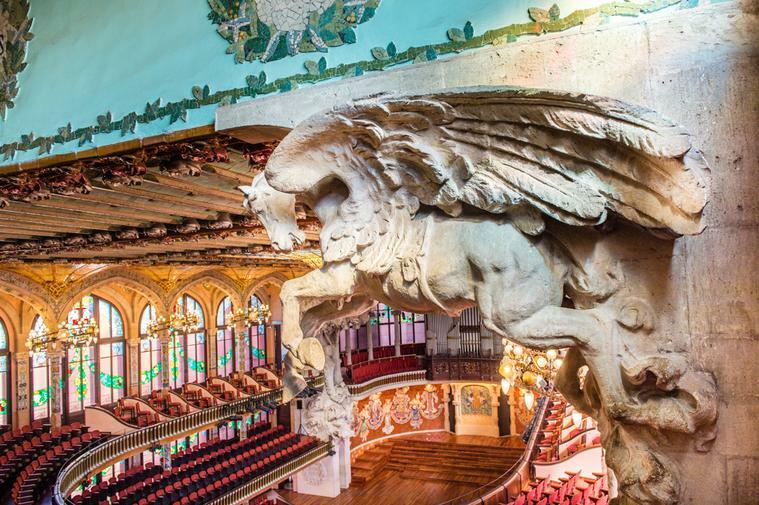 Next visit the Lluís Millet Hall, where glimpse the large balcony with columns symbolising flowers of every kind, in a tribute to nature. 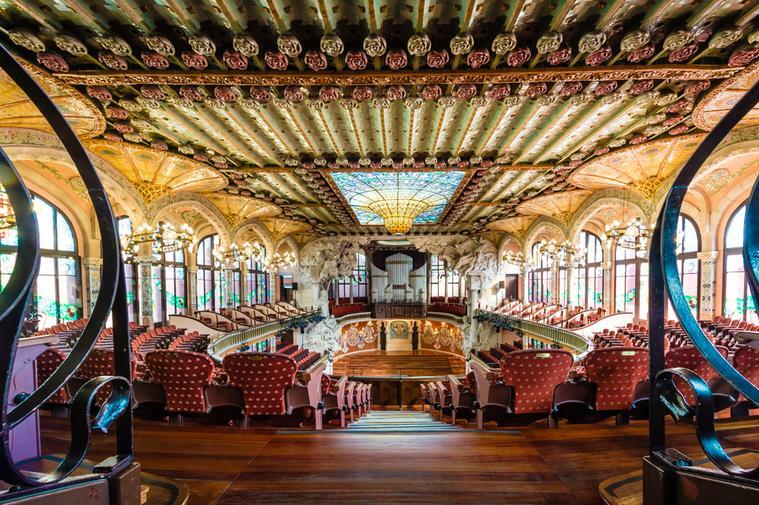 Finally visit the Concert Hall where an explosion of colour, shapes and light will welcome you to this great masterpiece of decorative art which amazes and inspires visitors and artists day after day. Also go up to the second floor, next to the great skylight, a drop of water and honey, a source of both light and inspiration. 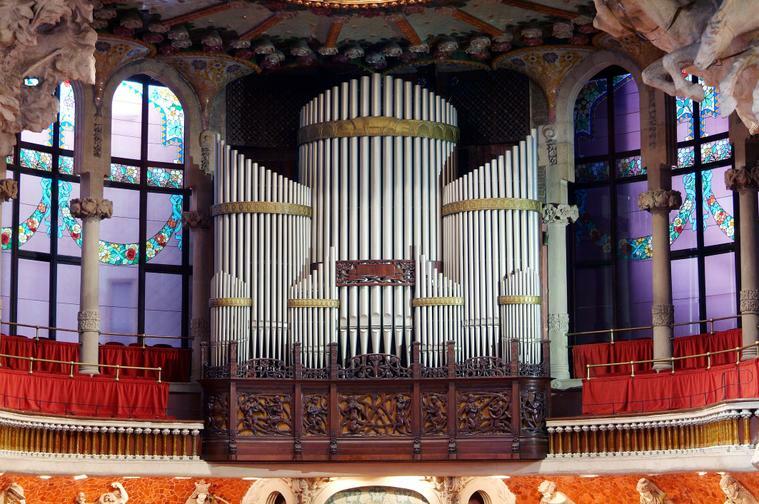 And finally the organ of the Palau, overlooking the room, will accompany the audience on a little musical journey.